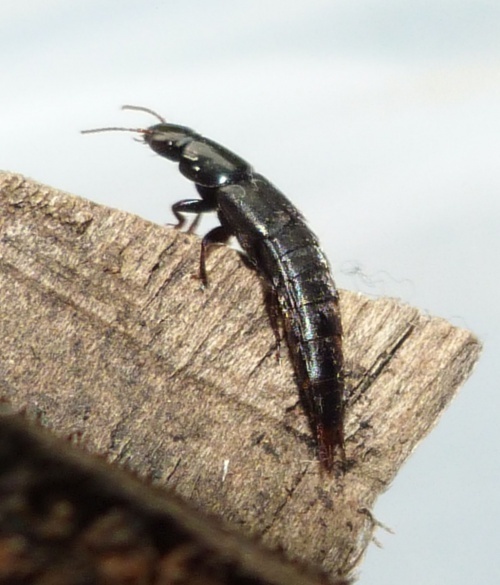 A dark, blackish rove beetle  length about 11 to 16 mm. A species of extensive habitats on damp but well drained soils. Found in the roots of grass, dead leaves etc. Fairly frequent in Leicestershire and Rutland. 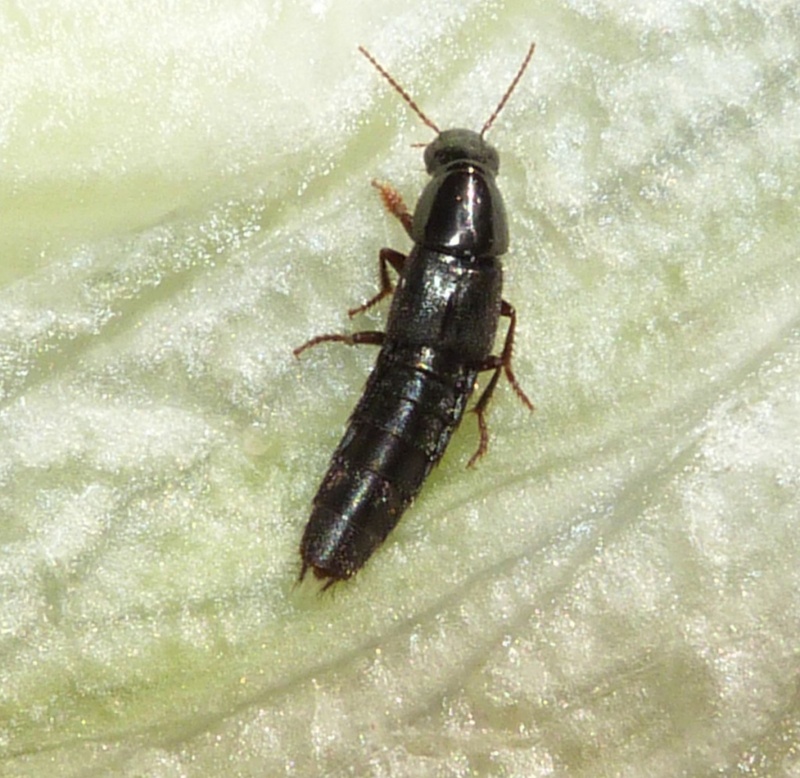 There were a total of 54 VC55 records for this species up to March 2015.